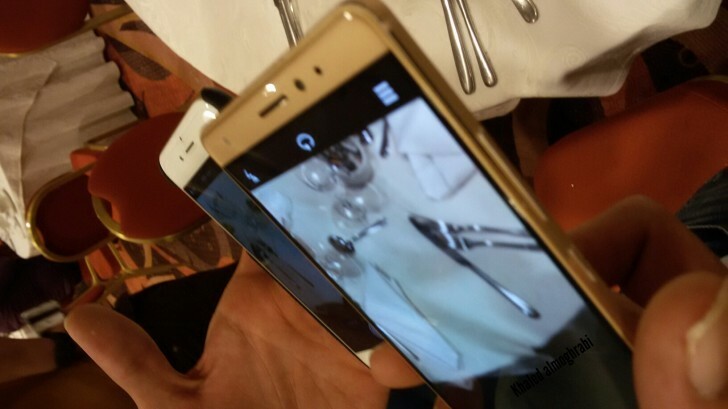 Huawei Mate 8, which should be launched as Huawei Mate S, previously known as Mate 7S, leaks yet again. We are following the path of this fella for quite a while but it will be all over in few day at the IFA event in Berlin. According to the latest reports the Huawei Mate S is indeed the company's next flagship and should be introducing a Force Touch display. 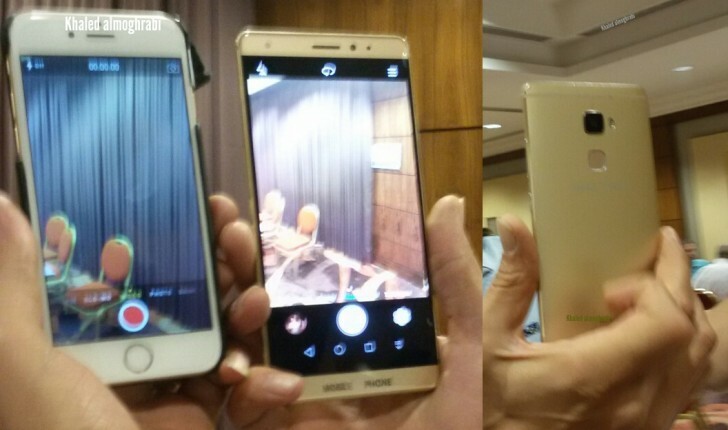 We got some glimpses of the device throughout the past few weeks, but today we have something better - live pictures of the device sized up next to an iPhone 6. The new Mate S looks a lot like its Mate 7 predecessor - it's big, made out of metal and has the signature fingerprint scanner below its main camera. The sensors and the selfie camera placement doesn't match the recently leaked photos and retail postings, but they do look the same as on the TENAA's images we saw earlier. 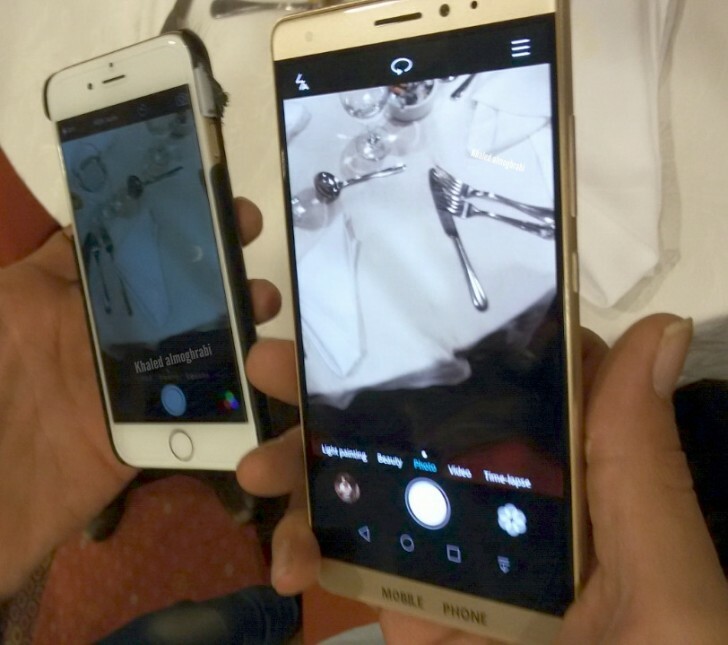 There is a chance we are seeing two different devices - Mate S, Mate 7S, Mate 8 - or just market-variations of one and the same phone - the Mate S.
The Mate S is rumored to pack a 6" Quad HD Force Touch display and run on either the most powerful and still upcoming Kirin 950 chip or the already available Kirin 935 SoC. The handset is also reported to pack a 20.7MP main camera and an 8MP selfie shooter, 3 or 4 GB RAM, a fingerprint sensor, LTE Cat.6 connectivity, a massive 4,500 mAh battery, and a brand new Emotion 4.0 UI on top of Android Lollipop. Note that we can't verify the authenticity of these photos, so you should take them with a grain of salt. We've seen the Honor 7 before marked as a MOBILE PHONE, so it sounds like a good sign to us, but the position of the front camera and the rear logo speak otherwise. The official announcement should happen on September 2 in Berlin. Thank you, Khaled Almoghrabi for sending these in! huawei seems improving faster than samsung and iphone!